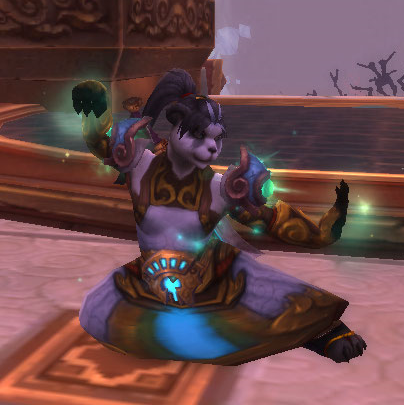 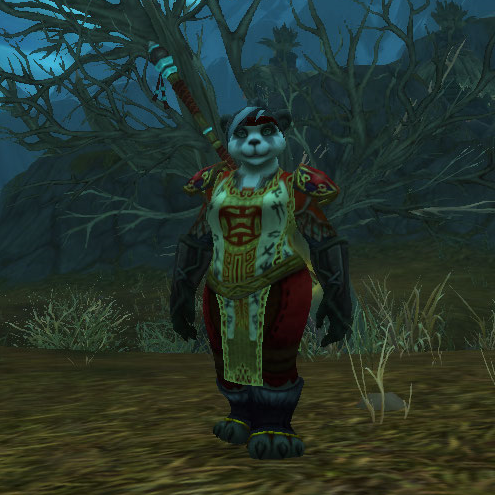 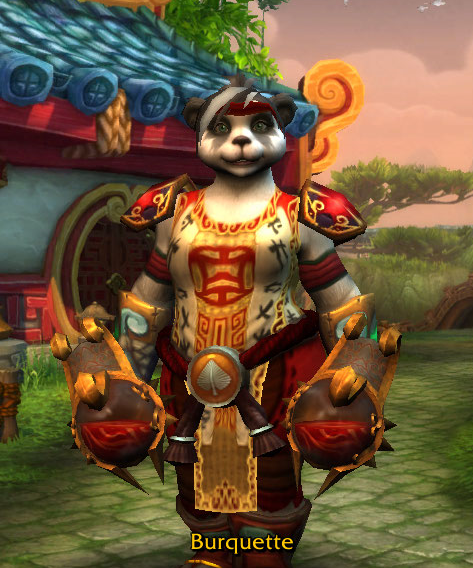 It’s been a long time since I’ve done a transmog post (that doesn’t involve a blog challenge), and with it being #MonkWeek, it’s perfect timing, so I thought I’d update you all with my latest Monk mog. 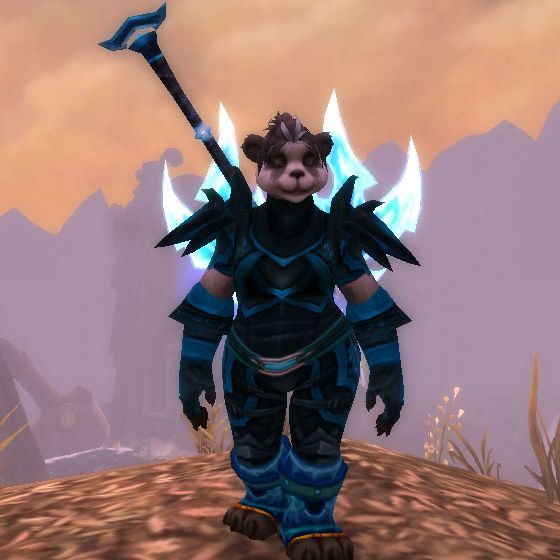 I went with a twist on the Nightstalker set and even though I haven’t got the weapon drop that I want off Malygos yet, I LOVE IT! 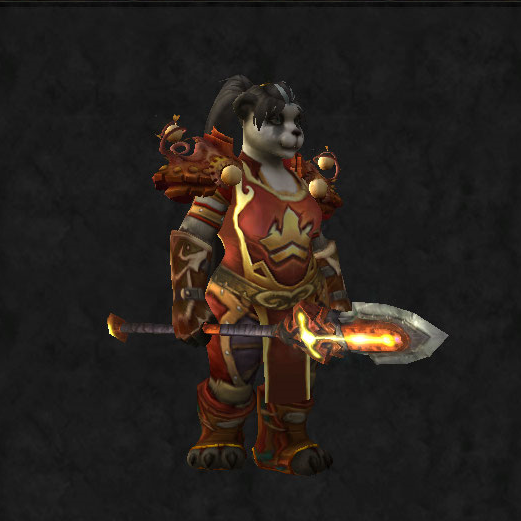 This was quite a time consuming mog to grind for – I relied on drops from HC instances which you can only run once a day. 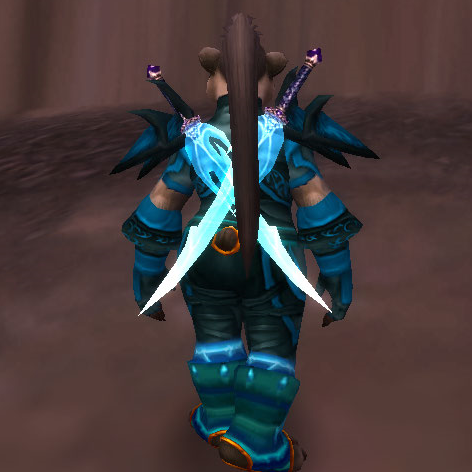 The weapons are easy as they’re justice-based, plus the boots which can be made by a leather worker. 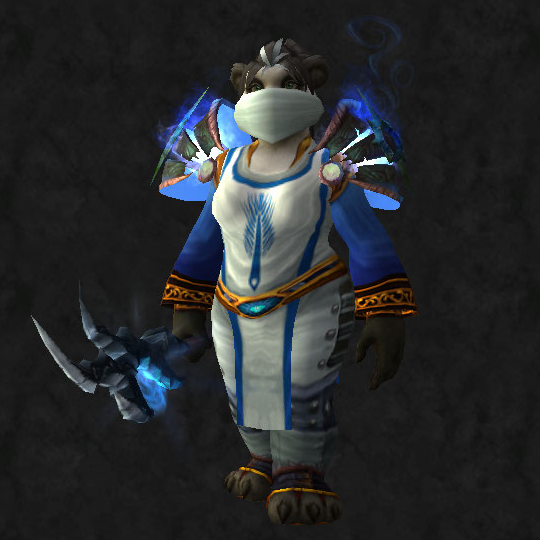 I also have a couple of head pieces to put on, but I’m not convinced I want them yet. 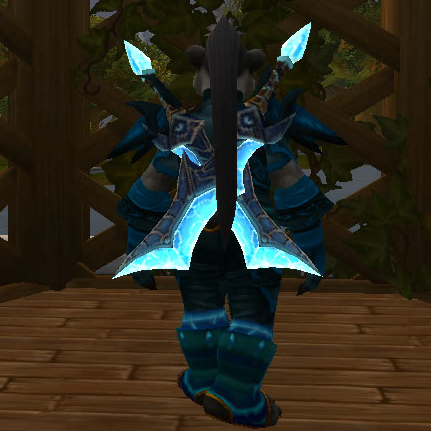 Still… let me know what you think! 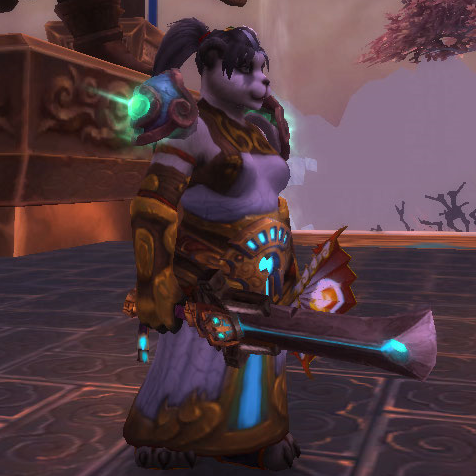 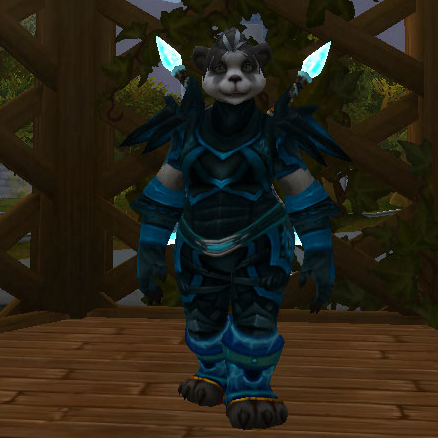 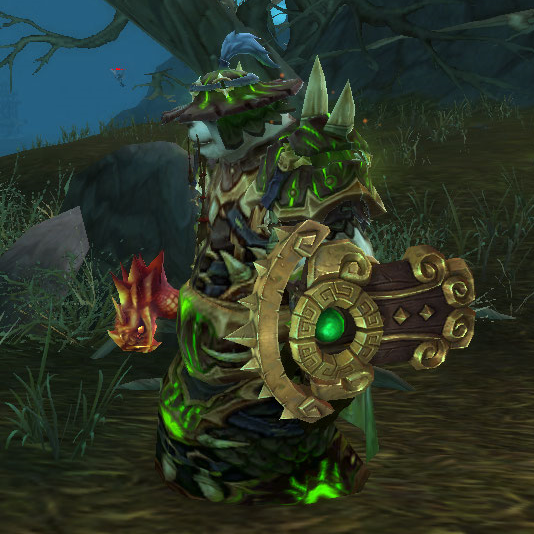 I’ve got some more swords (Phantom Blade) for this mog, which I think I prefer! 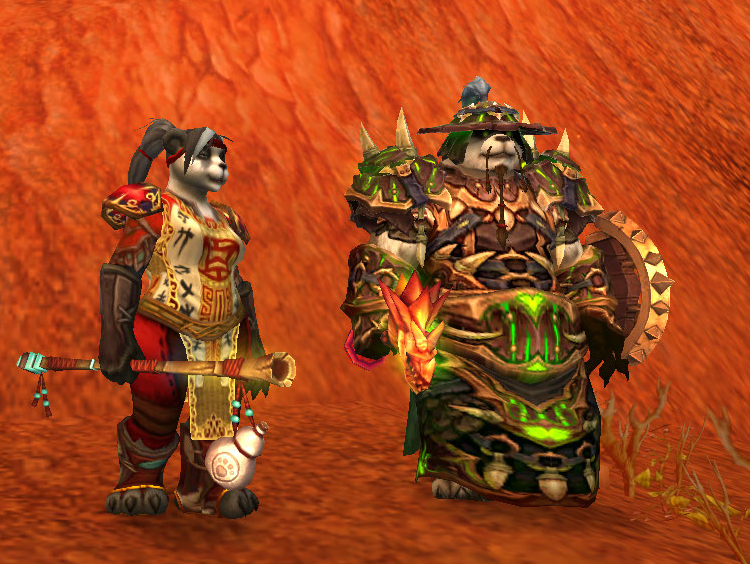 This post concludes #MonkWeek, but for more transmog posts for all our toons, remember to check out the links on the right hand side of the page!